Apex Legends is the latest Battle Royale game to dethrone Fortnite. It is an online multiplayer game based on the game Titanfall in which sixty players will face each other in squads of three players. You must jump from a ship and fall into the war zone that will decrease during the course of the game. You will have to make a good loot of weapons, armor and cures to enter the action. Like the successful Fortnite, it is a free game that you can already find to download on PC, PlayStation 4 and XBOX. Start your own Apex Legends adventure by downloading the game and fight for your survival. 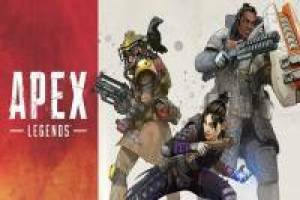 Enjoy the game Apex Legends Online, it's free, it's one of our Battle Royale games we've selected.